This is a quick, simple, useful soup recipe which doesn’t tie you to specific ingredients, allowing you to substitute whatever is available in your fridge or garden. Being the start of Autumn, I am enjoying digging up crisp potatoes, picking the last of the beans and podding those over-matured borlotti beans, which I somehow missed harvesting. It is important to toast and grind your own spices to bring out their flavour, enhancing this soup. The whole ground peppercorns give the soup a soft kick; the cumin & coriander seeds add earthiness, and the lemon brings all the flavours together. The vegetables listed are those that work best for me. It can be made with any seasonal vegetables – sweet peas or green beans, sweet potato instead of potato, fennel instead of celery. I like to serve it with a guacamole and freshly baked challah bread. Finely slice celery stalks and set aside. Peel and finely chop the potato and carrots into small cubes, along with the remaining vegetables. In a medium pot over high heat, drizzle in the oil/ghee and sauté the celery until tender. Add barley, ginger and bay leaf. Sauté until coated in oil. Add the water and remaining vegetables. Rapidly simmer, uncovered for 45min – 1 hour. Place the whole peppercorns, cumin and coriander seeds into a small saucepan, and dry-roast over medium heat until a good fragrance appears. Allow to cool, then roughly grind in a mortar and pestle. Add to the soup along with the salt and sugar. Turn off the heat and allow to sit for 10 minutes, or longer for the flavours to develop. Taste, adding more sweetness or salt. Sprinkle in a generous handful of finely chopped coriander or kale. Serve with a drizzling of ghee and more fresh coriander. If trying to avoid bread, it is lovely served with a spoonful of rice. I am out in the garden every day now, finding any excuse to be there. The fresh air, to experience the spring in its full glory. It can still be cold and unpredictable but we are now blessed with warm weather days that lift us up and put a spring in our step. I had written this at the start of spring last year but it got put to the side by other inspiring dishes. A lovely light cleansing soup. You can vary this recipe using whatever vegetables you like. In summer I add a whole cob of corn, cut into fours, with thinly shaved garden zucchinis. For a more substantial meal add a small amount of cooked noodles when adding the blanched vegetables. It is important not to boil the miso, the rich enzymes and nutrients due to the fermentation, will be lost. I have been slowly working my way through Amy Chaplin’s – At Home in the Wholefood Kitchen. This recipe is another from her book – ever so slightly adapted. If you want to make this soup ahead of time, leave out the miso and keep the blanched vegetables and dashi separate. Reheat together; then add miso, lemon zest and juice. In a medium pot place the kombu, ginger, and filtered water bring up to boil over high heat. Cover pot, reduce heat to a low, and simmer for 20 minutes. Remove kombu and ginger using a slotted spoon. Bring the dashi up to a simmer over high heat. Add the asparagus, broccoli/sugar snap peas, carrots, and cook for 30 seconds. Add the radish rounds and cook for another 30 seconds, then remove all the vegetables using a slotted spoon. Set aside to cool. Reduce heat to low. In a small bowl mix the miso to a paste using a little of the soup and pour through a small strainer into the soup. Taste, add more miso or a small spoon of salt if necessary. Add the blanched vegetables and small kale/spinach leaves, warm over a gentle heat for a minute or until the leaves are wilted. Remove from heat and stir in lemon zest and juice. (Adding a pungent flavour such as ginger or lemon to miso soup just before serving will activate the enzyme, making them more beneficial). This spring asparagus soup was created for the Holmes Place magazine for an ongoing concept of seasonal ‘superfoods’ throughout the year. Asparagus spears make a deeply fresh, light, vibrant green, cleansing soup that tastes like Spring. It has a sweet bitter & mildly pungent flavour. The lemon supports a gentle cleanse, the dill stimulates the digestive juices helping in the bowel’s movement, while the asparagus promotes circulation to the kidneys and providing a good dose of Vitamins, especially Vitamin K. The addition of avocado gives this soup a creamy, rich texture, and a healthy serving of good fats, aiding in the absorption of nutrients. A drizzling of ghee when serving provides a grounding sattvic quality. Asparagus has a short season, and it is worth buying the thinner spears rather than the ‘jumbo’ spears whose flavour tends to be disappointingly bland. When buying asparagus, take a careful look at the cut ends to make sure they are not dried out. Avoid cooking in aluminium pans as they can taint the flavour. Once harvested, this vegetable loses it sweetness quickly. So buy locally, as the produce shipped from overseas is disappointing. Once the weather warms up, this soup can be served chilled. Season to taste after it’s completely cool. Remove the tougher outer layer of the fennel, then chop into small pieces. Wash the asparagus, break off and discard the woody ends from the base of the stalks. Chop into 1-inch pieces. In a medium heavy-bottomed pan, heat the oil or ghee. Add the chopped fennel and sauté for five minutes. Stir in the asparagus and sauté until the asparagus is tender. Turn off the heat, allow to sit for five minutes, then transfer to a blender. Add the avocado, dill, lemon juice and zest, salt, pepper and boiling water. Puree until completely smooth, creamy and velvety. Taste and season with more salt, pepper or lemon, as needed. Serve immediately, garnished with thin slices of avocado, lemon zest, extra dill, a sprinkling of freshly ground pepper and drizzle with melted ghee. If not serving immediately, reheat when needed over a low flame. I have been making this a lot lately, sometimes as a soup or other times with rice and a simple palya. Drizzled with ghee, it is a complete soothing and cleansing meal. This is a very healthy food article which is easy to digest. Can be used daily with dosa, chapati, rice and rotti. It is good for all constitutions. Can be used at any time of the day and at any season. Brings strength, balance along with calmness and quietness to the body and mind. Helpful to the elderly and due to its lightness can be used during a period of sickness. Supports the yogic practice. I like to add thinly sliced cabbage or chuchu and grated carrot just towards the end of cooking. If using whole moong dal instead of the split decrease the amount of dal to ½ cup and proceed with the recipe. Place the dal, in a heavy saucepan and cover with water. Swish the dal around with your hand, drain, repeat and rinse. Do this four or five times until the water runs clear. Pour the 1½ litres water into the pot with the dal. Bring to boil over a medium-high heat, then lower the heat to maintain a rapid simmer. Simmer until creamy and the dal has broken down – approximately 30 – 40 minutes. If using a pressure cooker, allow for three whistles before turning off the heat, then set aside for 20 minutes or until the pressure has subsided. While waiting for the dal to cook, chop the chilli into three pieces and tear the curry leaves in half (this way everyone is guaranteed to consume a curry leaf and benefit from their medicinal properties). Turn off the heat, then add to the cooked dal. Stir in the lemon juice. With your hands, break up the fresh coriander and stir into the dal. Check for seasoning, adding more salt or lemon if needed. My walks these last few mornings have been under a slow, fuzzy, fizzling, falling drizzle of rain, cocooned warm and safe inside my jacket and hood. Yesterday it was particularly magical as I walked the familiar windy, cobbled stone road. I was walking in a thick blanket of fog which was imparting a feeling of magic, mystery and wonder. Today my walk was different again, it cleared, less windy, still cloudy except for a small patch of blue sky above. The colours were so clean and vibrant and below my feet walked on wet leaves. A root and sea vegetable broth to boost your immune system, strengthen your kidneys and create an alkaline, mineral-rich drink to replenish your cells and to give a rest to your digestion. I make it early morning to drink as a simple cleanse throughout the day. All vegetables should be organic and as fresh as possible. Thoroughly wash, but do not peel the vegetables. Cut them into large chunks and place in a heavy bottomed pot with the stick of kombu and ginger slices. Cover with filtered clean water and simmer for 2 – 4 hours. The longer you cook the broth, the richer and more flavourful it will be. Ten minutes before turning off the heat, tie the bunches of parsley and coriander together and add to the broth. This will impart added mineral ions. Remove the vegetables with a slotted spoon and reserve for other uses. Strain and season with salt and pepper. Serve each bowl with a squeeze of lemon, freshly grated ginger and turmeric and enjoy the warm healing replenishment to your body. Many, many versions of this soup. My version replaces the bread with whole barley, red or wild rice. Traditionally, ribollita uses cavelo nero kale – a beautiful black cabbage. I use a combination of savoy cabbage, kale, spinach or chard. I have been making this soup on these cold and drippy days. It sits on the stove and we go back and forth, filling our bowls, our tummies and warming our hands. Also, allow this dish to guide you. Patience, gentle and respectful cooking results in a dish that is more flavourful and it calms and soothes the mind and emotions while renewing the body. Add the celery, carrots, potato, and barley/rice. Cook for a couple of minutes, then add the cabbage, tomatoes, tomato paste and vegetable stock. Cover and simmer over a low heat for 20 minutes. Stir in the beans/chickpeas, cover and cook for an hour or more, adding water if needed until the vegetables and beans are really soft. Add a generous pinch of salt and a few good grindings of black pepper. Remove from heat and allow to sit for an hour to improve the flavours. Reheat and stir in the kale. 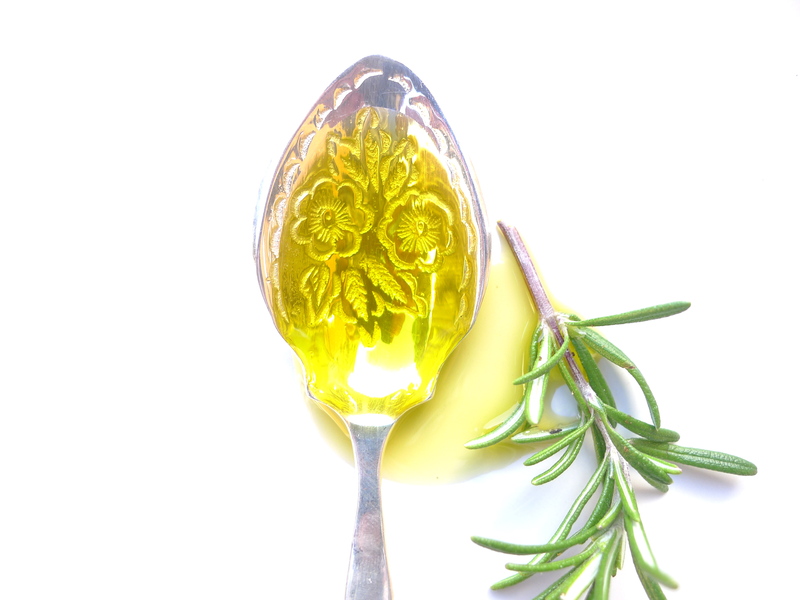 Ladle into warm bowls and generously drizzle with a bright green, rich, peppery olive oil. feeling the need to be quiet and introverted, completely lost in my own meandering thoughts. I thought I woke up to rain this morning, but it was just the wind in the trees. This soup does thicken up so you may have to add a little more water or coconut milk to thin out the soup as you reheat it. Rinse the dal and place in a medium soup pot with 4 cups of water. Bring to boiling, and turn down heat to a soft simmering for 2o minutes. Add the carrots and simmer for another 20 minutes, until the dal is tender. In the meantime, warm the ghee/butter in a small saucepan. When hot, add the mustard seeds. Wait for them to sputter and pop and add the cumin seeds, curry leaves, red pepper flakes and curry powder. Turn off heat and put to the side. When the dal has finished cooking, remove from heat, stir in the coconut milk, salt and if using jaggery, and puree with an immersion blender (or if you have no electricity, like me at the moment, a potato masher will work fine). You can leave the soup a bit chunky if you like, or puree until smooth. Stir in half the spiced ghee/butter, and add more salt if needed. Serve drizzled with the remaining spiced ghee and sprinkle with fresh coriander. Wonderful served with red rice.